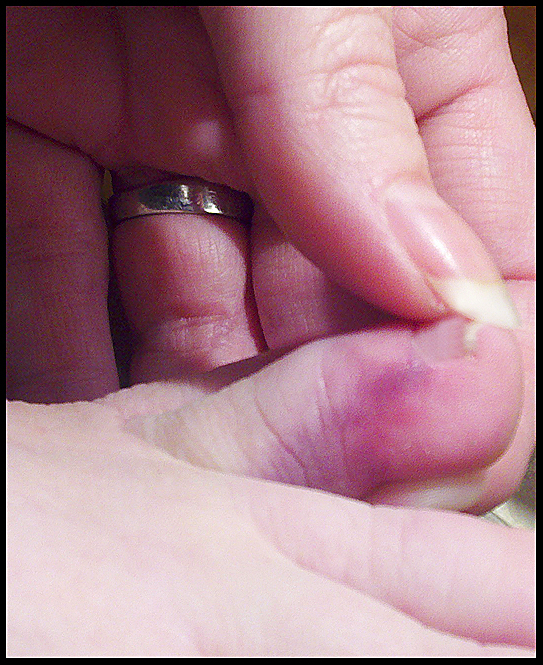 I was rushing around last week and smashed up my toe. This isn't news, I've been a klutz for a very long time. The thing is, I looked down at my feet when it happened and noticed there is no polish on my left foot and only remnants of some on my right. I'm so very glamorous. At least it's not sandal season. I need some time to chill, stop bashing my toes, and maybe give them a little polish. In the spirit of the quiet, relaxing, less stress holiday we are trying to have over here at our house, I'm checking out for the year - or at least until after Christmas. I just wish you all every single thing your heart desires and even more important than that, every single thing your heart needs. I ALWAYS bash my toes too!!! Especially the little one! 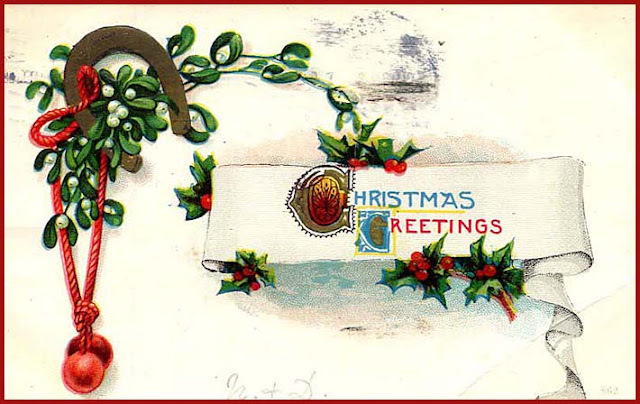 Merry Christmas to you, Jeanette and I hope you have a wonderful holiday! Your poor little toe! Wishing you a very, very Merry Christmas! All the best to you and yours this holiday season. Merry, merry Christmas everyone! I wish you and your families the warmest wishes. ouch!! have an amazing christmas sweets! I am wishing that you take your own advice and do all of those nice things for yorself! I have just finished "Steam-boying" my floors, just a little dusting to do and I am then beginning my "slow-down, quiet lead up to Christmas!" Must go and put on the kettle! Merry Christmas Jeanette and AH! Have a wonderful holiday! can i come over and hang out? Hope you enjoy your "me time". Blessings, Joy and much needed Peace to you guys! Enjoy your rest! Wish we could be together! I'm so sorry you bashed your toe...but I certainly can empathize. I do it quite often, as I wear flip flops around the house, except during winter. Also, I think I may have a worse story than you Jeanette. Many years ago, I tried my first and last hip-hop dancing class. We were supposed to make a move where we hit our front toes on the floor, I actually slammed my foot down so hard that I broke the toe nail on my foot and yelled out in pain. The classed stopped instantly and I took off my sneaker and my white cotton sock was covered with blood. Hope you and your toes are surviving! Merry Merry! Twenty Twelve is going to be a fab year for you and your toes. Maybe you just have "Happy Feet"...it goes around this time of year. Jeanette - I hope you had the merriest of Christmasses with newly painted toes! And sending you wishes for a very Happy New Year!! I like polish on my toes too, not on my fingers 'cause I don't like the smell. Hope you have a magical New Year (and that you had a great Christmas).